On the first of August 1943 about 3,000 Jews were fired from over 100 work places outside the ghetto. On the 5th of August a rumour spread through the ghetto that thousands of workers and their families were to be deported to Riga and as a result people did not show up to work. Gens calmed the public and claimed that no danger was anticipated for the ghetto. On the morning of the 6th of August hundreds of people who had not gone out to work were arrested and taken to the ghetto prison. Their family members gathered near the prison and threatened to break in to free the prisoners. The prisoners were freed in order to avert a violent confrontation and thousands left the ghetto to go to work. When about 1000 of the airfield workers reached their places of work they were surrounded by Estonian soldiers. The workers began to flee and to attack the soldiers who were shooting those who fled. 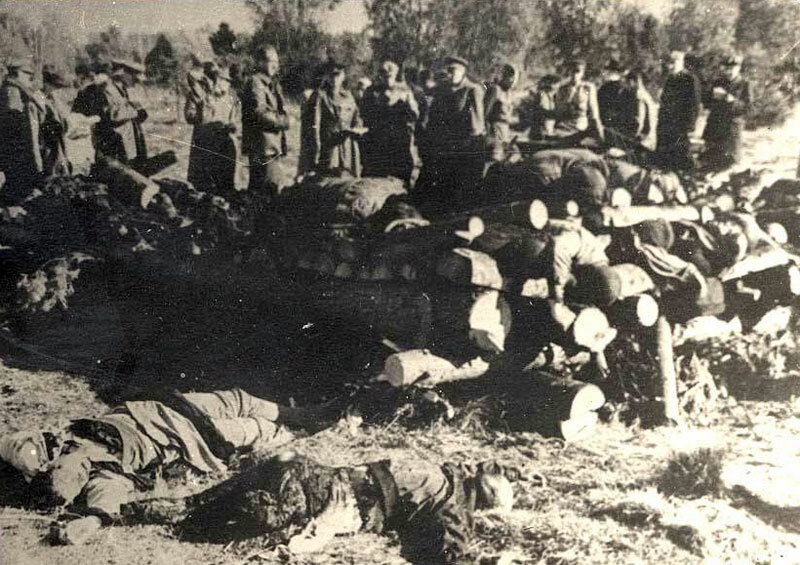 About twenty people were killed on the spot, many were injured and some succeeded in escaping. About 100 workers of an ammunition base were caught by the Germans on their way to work and brought to the train station. Gens arrived at the station; he brought food and water to the people and promised that they were going to Estonia. 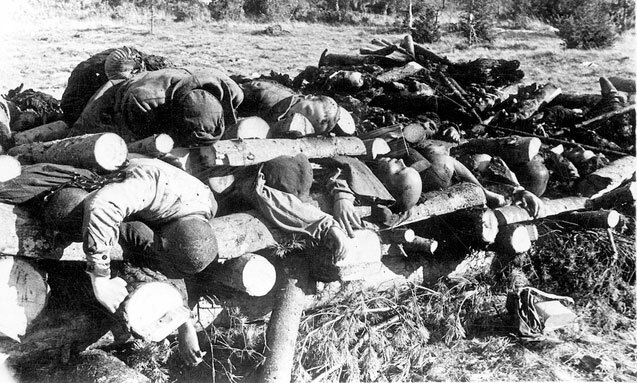 About 1000 people were sent to Estonia to the transit and concentration camp Vaivara. On the 11th of August Brigadier Heymann (the head of a work group), who had gone to Estonia together with the deportees, returned to the ghetto and brought with him letters containing requests for food and warm clothing. The German authorities demanded an additional 4,000 - 5,000 people for work in Estonia and promised Gens that if the ghetto leadership provided the people there would not be any kidnappings. The ghetto leadership began registering the people who were to be sent to Estonia. They included family members of those sent in the previous deportation and unemployed people who had arrived from other ghettos in the area surrounding Vilna. Some people presented themselves willingly and others had to be taken by force. On the 24th of August 1943 the second transport was sent to Estonia, it contained about 1,500 men, women and children. On the first of September the Germans demanded another 3,000 men and 2,000 women for work in Estonia. The ghetto leadership struggled to gather the number of people demanded. Jews hid and a confrontation ensued between the German security forces and the underground. That day 1,300-1,500 men were taken from the ghetto and sent to Estonia. I will try again, to double the output from the workshops, to prove the benefit of the Jews and maybe thus I will save the ghetto… but if it doesn't succeed, I will open the gates of the ghetto and let all the Jews flee to wherever they choose and we will be the last to leave and will set the ghetto aflame from every side. On the 23rd and 24th of September the Vilna Ghetto was liquidated. 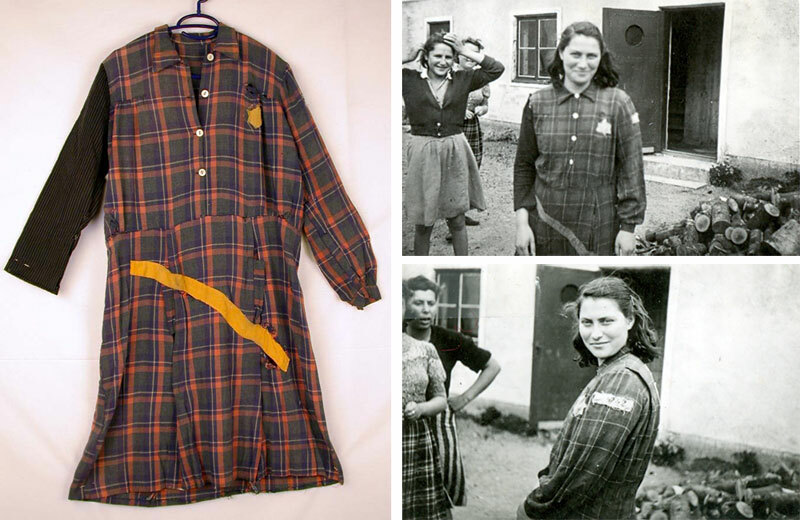 1,600 – 2,000 men were sent to camps in Estonia and 1,400 – 1,700 women were sent to Latvia. At 5:00 am… some of the ghetto inhabitants had already presented themselves at the gate and had been taken to Rossa Square. I was as if paralysed. I wasn't prepared to even think of a way out of the ordeal… In all the days of the ghetto I had worn tefillin (phylacteries) every day before going out to work with a brief prayer on my lips. In my prayer that morning, tears streamed from my eyes. The crying became a general wail… The remnant of the Vilna Ghetto was brought to Rossa Square. Once the men had been separated from the women we were herded onto cattle cars and transported like beasts, well secured so that no one could escape. About seventy people were caged in each car. From a tiny window, surrounded with barbed wire, we breathed a little air… from time to time I climbed on Zuaki's shoulders and peaked outside. From time to time we swapped places to look. We crossed Vilna… the journey lasted several days. We lost track of time. Only after three or four days we arrived thirsty for water, hungry for bread, broken and crushed at the small town of Klooga in Estonia, situated not far from the capital Tallinn. In August and September 1943 the final 9,000 men, women and children remaining in the Vilna Ghetto were sent to camps in Estonia. Vaivara, the central concentration camp in Estonia, administered over twenty camps in Estonia. These camps were answerable to the Wirtschafts-Verwaltungshauptamt (WHVA - Economic-Administrative Main Office). Each of the large camps in Estonia – Vaivara, Klooga and Lagedi – held 2,000 – 3,000 prisoners. The small camps held a few hundred prisoners. Prisoners that held official positions enjoyed benefits with food and work. They were not authorised to punish the other prisoners. In the testimonies of survivors of the Estonian camps there are no complaints about their behaviour. Men and women were separated, their hair was shaved and they lived in dilapidated barracks. Food was scarce and the conditions were much worse than life in the Vilna Ghetto. Hundreds of children were also sent to the camps in Estonia, the majority from Vilna. Those aged thirteen years old and up worked together with the adults in the mines, paving roads, logging and building fortifications. In February 1944 about 600 Jews – the elderly, sick and children - were sent from the camps in Estonia to a death camp in Poland. The majority of the children under the age of thirteen were included in this transport. 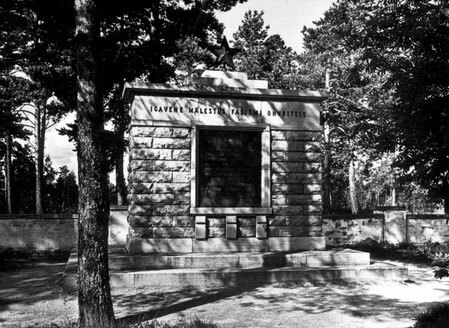 1,400 – 1,700 women were sent to Kaiserwald Concentration Camp near Riga, Latvia and their fate was similar to that of those who were deported to Estonia. At the end of July 1944 evacuation of camps near the Soviet front began. Thousands of prisoners were transferred to Stutthof camp including the women from Kaiserwald, from where they left in January 1945 on a death march to the west. On the 18th of September 1944 426 Jews were murdered in Lagedi. The following day about 2,500 Jews were murdered in Klooga including seventy three Soviets prisoners of war and Estonian prisoners. About eighty people survived Klooga. On the 25th of September 1944 the Red Army liberated the Klooga camp. In November 1944 fewer than 100 survivors returned to Vilna from the camps in Estonia. גנס, שהיה גם ממונה על הגטאות באזור וילנה, ביקש שגלזמן, האחראי על מחלקת השיכון, ייסע עמו בנובמבר 1942 לגטו שווינצ'יאן ויעזור בארגונו. גלזמן חשש שייאלץ להיות שותף לאקציה כמו זו שביצעו שוטרים יהודיים בגטו אושמיאנה באוקטובר 1942. הוא סרב ונכלא בכלא הגטו. בעקבות פנייתם של ויטנברג וחיינה בורובסקה אל גנס הועבר גלזמן למחנה עבודה מחוץ לווילנה. באותה עת נעצרו כמה מחבריו של גלזמן. גנס חש מאוים עקב האהדה לה זכה גלזמן בגטו - אהדה שגברה עקב סירובו לצאת לשווינצ'יאן - ושיחרר את גלזמן.